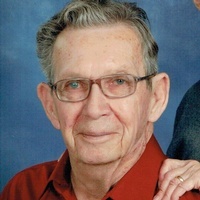 Lewis Blaine Yell, 84, passed away September 30, 2018, in Amarillo, TX. The Family will receive guests at Rector Funeral Home 2800 S. Osage Amarillo, TX 79103 from 5:30 PM - 7 pm Tuesday, October 2, 2018. Funeral Service will be at 2 PM Wednesday, October 3, 2018, at Bolton Street Baptist, 2555 S. Bolton Amarillo, TX 79103, Officiated by Pastor Winston Curtis. Graveside service will follow at Memory Gardens Cemetery. Lewis was born in Pueblo, CO on 2/9/1934, Lewis grew-up in Plainview, TX and graduated from Plainview High School in 1952. He joined the U.S. Marine Corp in January 1954 and served for two years in Asia playing the alto sax in the Marine Corps marching band. For the rest of his life, he loved listening to marching band type of music. Lewis lived most of his adult life in Amarillo, TX, being a single father for eleven years to his son Arnold. He owned and operated Economy Auto Parts on Grand Street for many years, which tied to his love of foreign sports cars. Lewis was a strong Christian man being a member of Bolton Street Baptist Church where he taught Sunday School. Whenever Lewis had the opportunity, he treasured being able to make people laugh. Lewis is survived by Wife, Kara Jean; Sons, Arnold Yell (Sharon) and Tommy Herring; Daughter, Nina Herring Lavake (John); Stepsons, Doug Liedtke (Kathy) and Roger Liedtke (Ponda); Stepdaughter Paula Liedtke Black (Randy); 29 Grandchildren and 30 Great-Grandchildren. He is preceded in death by first Wife, Sarah Linda Glenn Yell (1960); second Wife, Ila Fern Herring Yell (2002); Mother, Gladys Lucas Yell; Father, Otho Monroe Yell; Daughters, Rolene Herring Arkon (2015) and Belanie Herring Kennedy (2018) and Grandson, Bryan Jeffery Kennedy (2016).